One Eternal Day: "...yet I will rejoice in the Lord"
There are no accidents, no glitches with God. He does all things well. Everything that comes to us comes by his hand and through his heart. He provides for our needs and fulfills our deepest desires in the fullness of time, not a moment too late, nor a second too soon. Hope assures us that in all things, even in the delays of life, God is working for our good. To know that is to be patient. One of the surprise "goods" that God is working for us as we wait is the forging of our character. What we become as we wait is at least as important as the thing we wait for. To wait in hope is not just to pass the time until the wait is over. It is to see the time passing as part of the process God is using to make us into the people he created us to be. Job emerges from his wait dazzled and transformed. Abram becomes Abraham and Sarai becomes Sarah. 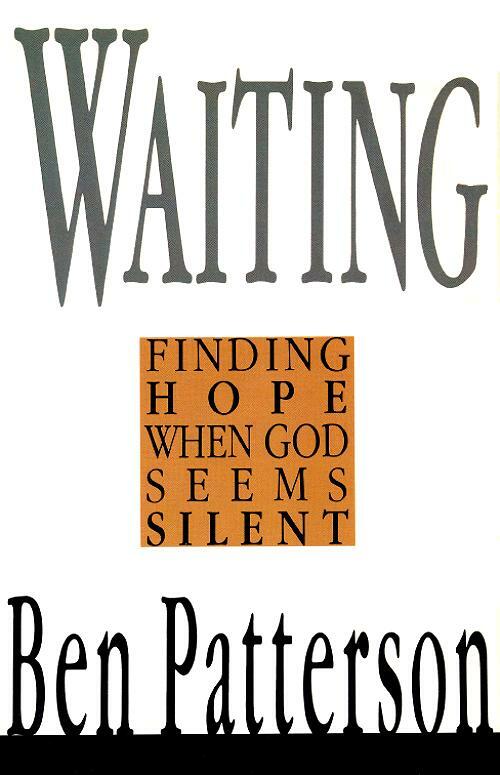 Hope invites us to look at our waitings from the grand perspective of God's eternal purposes. In fact to be a believer is, by definition, to be one who waits. When Jesus won his victory over sin and death, he ascended into heaven, promising one day to return. We Christians wait for that return, poised between the times, in the "already, but not yet." We look back to his victory and strain forward to see its consummation. The apostle Paul says the pain of our waiting is like the waiting of childbirth. It is the tension and groaning of labor (Rom 8:22-25). I attended my wife in the births of each of our four children. One thing struck me as odd about each event: that the time when she was required to exert her greatest effort and push the baby out was the time when she was least able. She was exhausted from hours of labor and now she was to summon all her strength and push. How could she? Hope made it possible: the hope of giving birth to the child. When human strength was gone, something beyond the purely human took over and gave her the strength she needed. The Bible said it would be this way for those who hope in God. "Those who hope in the LORD will renew their strength. They will soar on wings like eagles; they will run and not grow weary, they will walk and not be faint" (Is 40:31). Likewise for our Lord Jesus and his cross, "who for the joy set before him endured the cross, scorning its shame, and sat down at the right hand of the throne of God. Consider him... so that you will not grow weary and lose heart" (Heb 12:2-3). My wish is that we might gain the humility and hope to not grow weary and lose heart. I hope that you and I might be able to say, with full hearts, what Henrietta Mears said near the end of her life. This wonderfully eccentric and indefatigable saint accomplished great things for God in her life. When asked if there was anything she would have done differently, had she her life to live over, she said without hesitation, "I would trust God more." 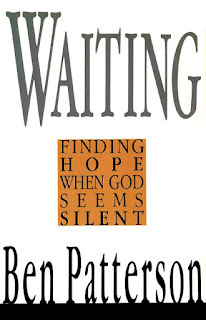 Ben Patterson, Waiting: Finding Hope When God Seems Silent , 1989, pp. 167-170.